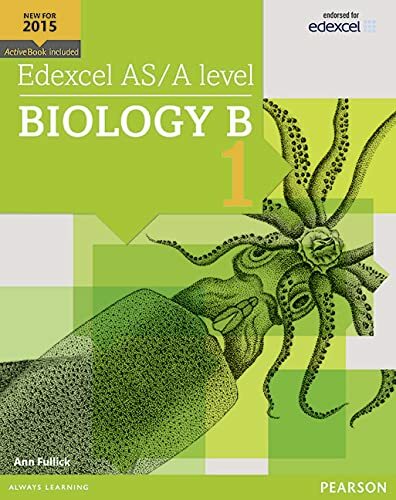 Exam Board: Edexcel Level: A level Subject: Science / Biology First teaching: September 2015 First exams: June 2017 An ActiveBook is included with every Student Book, giving your students easy online access to the content in the Student Book. They can make it their own with notes, highlights and links to their wider reading. Perfect for supporting work and revision activities. Student Book 1 supports a standalone AS course and provides the first year of a two-year A level course; Student Books 1 and 2 together support the full A level course. A cumulative approach to learning constantly builds on what has previously been taught. The chapter openers highlight prior learning requirements and link to future learning. The required maths skills are highlighted at the start of each chapter providing opportunities for students to check understanding and remedy gaps. Bigger spreads require students to read real-life material that's relevant to the course and use knowledge in new contexts. Accompanying questions require students to analyse how scientists write, think critically and consider issues. Preparing for your exams sections highlight the key differences between preparing for an AS and full A level exam. Practice question spreads provide opportunities for students to regularly check their understanding using questions written in the style of the new exams from day one.